Mount Isa may be a long way from where you call home but the city is fully accessible by sealed roads, rail and plane. The main highways in and out of Mount Isa are suitable for all vehicle types and there are also 4WD accessible sites in the region for the off road enthusiast. On your drive to Mount Isa you will travel through some of the most magnificent scenery in Australia. Coming in from the west you'll pass through spectacular savannah grasslands, from the east you'll see undulating ranges and from the south the remnants of an inland sea. If you have any questions regarding travel in the Outback or getting to Mount Isa contact the Visitor Centre in Outback at Isa. Get Directions to the Mount Isa Entertainment and Tourism Venues - Mount Isa Civic Centre, Buchanan Park Entertainment Complex and Outback at Isa. Provides visitors to the outback with important road safety tips and useful travel information when driving on Outback highways and roads. Queensland Rail operates 'The Inlander' service between Mount Isa and Townsville twice weekly. Departing Townsville on Saturdays and Wednesdays and Mount Isa on Sundays and Thursdays. Book Here. Bus Queensland operates daily services between Mount Isa and Brisbane with additional services between Townsville and Mount Isa three days a week. 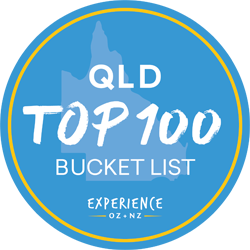 Book through Bus Queensland or call 1300 287 537. Greyhound operate daily services between Mount Isa and Brisbane, with additional services to Townsville and Tennant Creek (Northern Territory) Sunday & Wednesday. Bookings can be made through Greyhound or call 1300 473 946. Airport to Hotel Transfers, Event Shuttle Services and more.